The Cemetery is in Rectory Road, Upton upon Severn, WR8 0LU. A list of current Cemetery fees is available via the link below. Please contact the Town Council office if you wish to purchase a burial plot or hire the Chapel for a funeral. The Cemetery opened in 1863 following the closure of the churchyard which was alongside the old church. The Cemetery Chapel is a Grade II listed building and was completed in 1867. Strictly speaking it is a pair of chapels, with the Ecclesiastical Chapel for Church of England and Roman Catholic parishioners and the ‘Dissenters Chapel’ set aside for Baptists and Methodists. 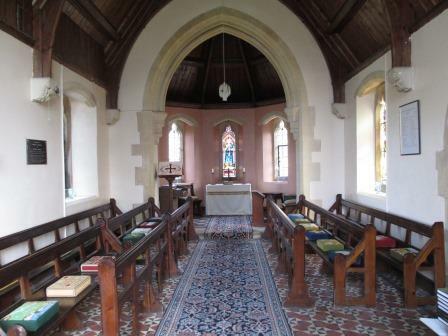 Today only the Ecclesiastical Chapel is in use. Significant works were carried out to the Chapel in 2012 which included refixing the iron cross to the Chapel tower, repairing and replacing worn and damaged sections of the blue lias stone, installing a lightning conductor and replacing stolen lead flashing. The Council received a legacy which was used to fund this work, and a plaque was put up in the Chapel to recognise the generosity of this gift.